“eBay has, and will continue to be, a minority shareholder who believes in Craigslist, shares its values and acts with openness, honesty and integrity in its dealings with Craigslist’s board and the online community. UPDATE – Looks like these ads have been withdrawn! Ceasing unlawful behavior out of fear of legal consequences falls short of “openness, honesty, and integrity”, but it’s a step in the right direction. 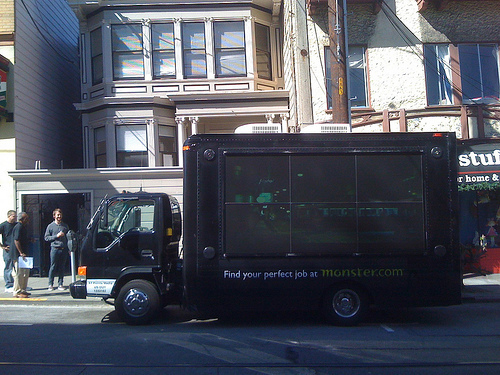 On several occasions over the last month, a large, tacky Monster.com truck has parked in front of our SF office, and proceeded to blast loud music, to the point where our front offices were rendered unfit for working. On the latest occasion, a few of our techies asked the driver to turn down the music, which he was nice enough to do. Is it possible that Monster is “green” with envy, now that our job boards alone receive more employment-related traffic than all of monster.com? Posted in Harrassment | Comments Off on Monster getting desperate? 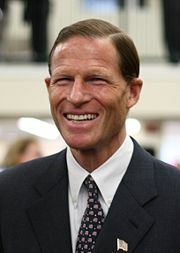 You are currently browsing the archives for the Harrassment category.